In Enchanted One, Sheila Applegate provides readers with a guide to embracing love in every moment. It gently reopens and reconnects readers� hearts with their minds and encourages surrender as they delve more deeply into their heart center to explore emotions. Enchanted One supports the highest expression as readers find themselves resting in Divine Love. In this space you will remember that you are a beautiful reflection of Divine Love on earth. 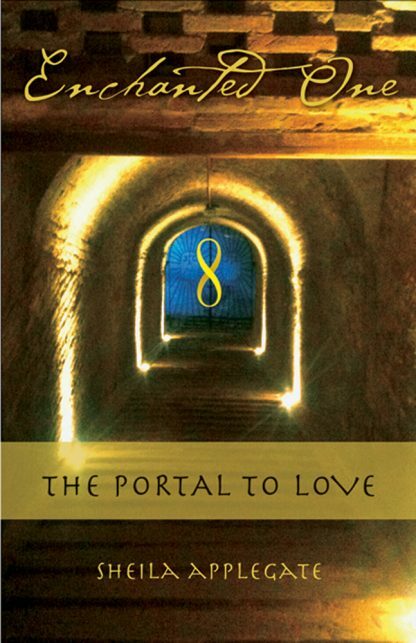 In her book, Applegate offers a message of love that weaves together channeled messages from the vibrations of Isis and Magdalene with her own personal experiences of embracing the full spectrum of emotions as a gateway to living in harmony with All That Is. In Enchanted One, Applegate turns to the Divine Feminine, the essence of which has always been with us, for guidance. She channels the spirit of Magdalene and Isis with an open heart and weaves together teachings from these two beautiful and loving Goddesses. In each situation, in every minute of each day, you have a choice, and the choice is always the same: �"Do I choose to live from a place of love or a place of fear?�" My answer is, and always has been, love, in every situation. This is how I have learned to create a beautiful world around me. And this is what I want to share with you. By no means am I asking you to live in an illusion or a bubble. You are a practical, rational being. You face life head-on. The lessons in this book are about embracing, not escaping. When you embrace the full spectrum of your emotions, increasing your awareness and moving deep into your shadows, you allow yourself to live in the power of unconditional love. This is how you will create the beautiful world your heart desires. Over the past centuries, the heart-centered teachings of the divine feminine have been buried—not lost, but simply hidden until we as a collective group of souls on Earth were ready to understand and embrace them. We are ready now. Whether you are aware of this or not, you are ready now, which is why your heart led you here. This is the perfect moment for you to open your heart and receive the profound message of love that you have been seeking for so long. You are about to embark on a journey of unconditional love—the journey of the open heart. As a clinical therapist, motivational presenter, author and teacher, Sheila Applegate's passion is to provide a forum for people to process emotion and integrate spiritual understanding into their daily lives. Sheila earned a Bachelor�s Degree of Social Work from Syracuse University, and a Master�s Degree in Clinical Social Work from the University of Maryland. In 1998, after years of studying metaphysics, Sheila was ordained as a minister through the Light of Divine Truth Foundation. For over 20 years, Sheila has combined her broad formal training with her continual personal awakening to bring forth the message of Oneness through Divine Love. As a messenger of Spirit, she embraces and connects with the vibration of the Divine Feminine. Sheila encourages people to embrace their passions as service on earth by living within the Spirit of Enchanted Oneness.